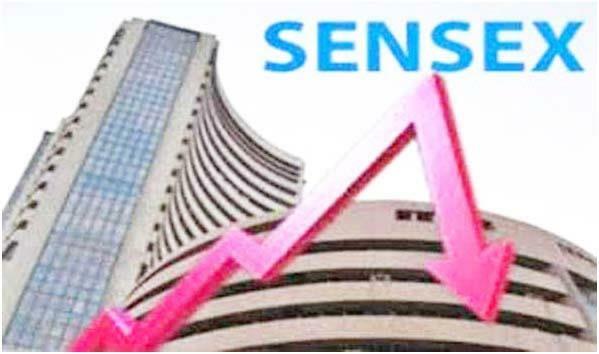 Mumbai, Feb 8 (UNI) The benchmark index of Bombay Stock Exchange (BSE) on Friday dropped by 424.61 points to settle at 36,546.48 as sell-off in the automobile and metal stocks amid weak global cues. The Nifty of National Stock Exchange (NSE) was too down by 125.80 points at 10,943.60. The Sensex registered the day's high and low at 36,885.58 and 36,480.62 points respectively. The Nifty registered day's high and low at 11,041.20 and 10,925.45 points, respectively.